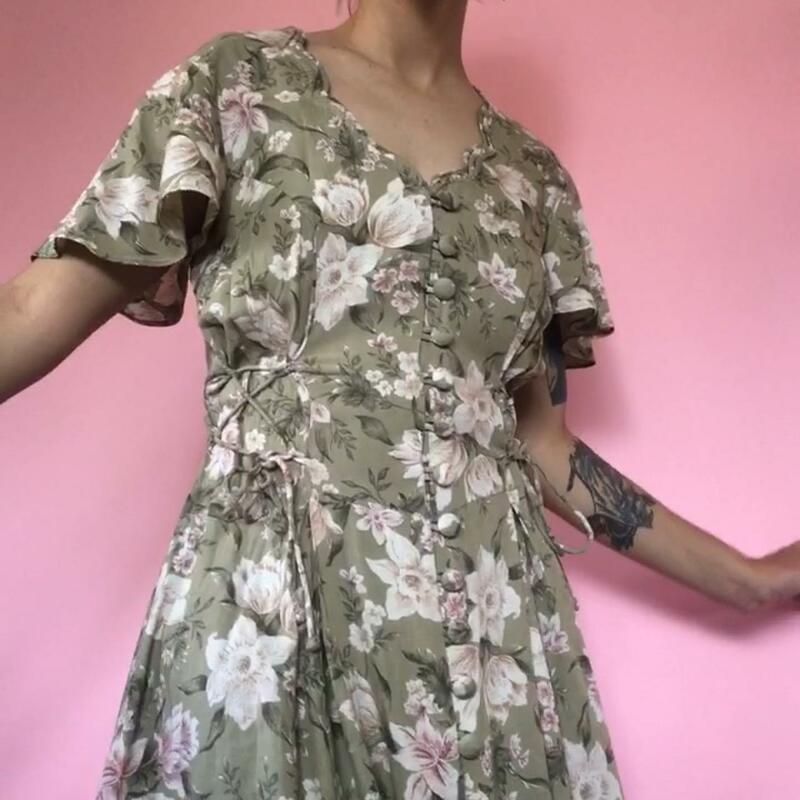 Vintage 90s floral dress with scalloped chest, butterfly sleeves, buttons down the front and ties in the back. Raw bottom hem. Model is a size 0/XS. FREE domestic shipping! vruh Do you still have this up for sale? vruh How long does shipping take? ?